Clementine apparel's ideally crew quality make this basic crew an ideal choice for daily wear. 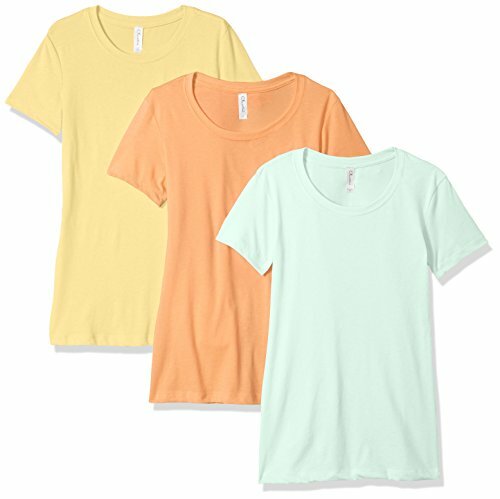 Basic is beautiful when it comes to these basic short sleeve crew neck tees perfect for lounging, chilling, active or casual looks alike stretch cotton jersey 60 percent combed ring-spun cotton/40 percent polyester lightweight jersey crisp yet casual look 3.9 Oz. 30 singles fabric laundered for reduced shrinkage front cover-stitched 1x1 baby rib-knit set-in collar crew neck short sleeves comfortable fit machine wash cold. Do not bleach. Tumble dry low.